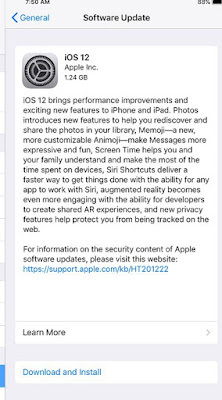 The latest edition of Apple’s software — iOS 12, is now available for iPhone, iPad and iPod Touch users to download as it had earlier promised. The new iOS is designed to make your iPhone and iPad experience even faster, more responsive, and more delightful. iOS 12 is the twelfth major release of the iOS mobile operating system developed by Apple Inc., being the successor to iOS 11. It was announced at the company's Worldwide Developers Conference on June 4, 2018. It is similar in aesthetics to iOS 11, but contains numerous performance, battery life improvements and security updates, in addition to added functionalities within some apps. It was released to the public on September 17, 2018. Apple is introducing new features to help users manage how they use their phones or tablets with additions like Screen Time to track how long they spend on their phones and which apps they’ve been using, and improved notifications that are now grouped together by the app and far easier to manage or mute. 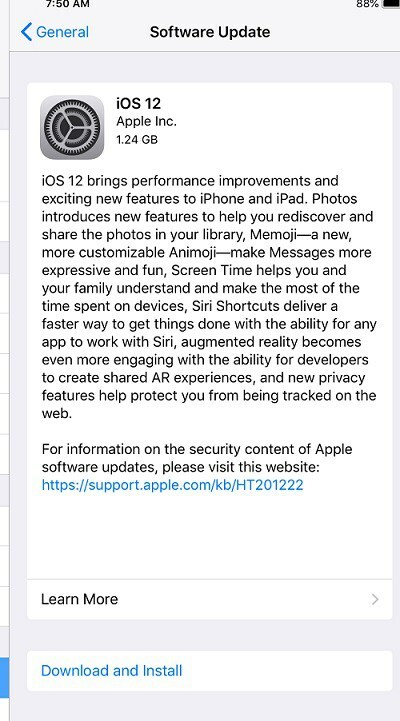 The iOS 12 update brings Improved Performance, Siri Shortcuts, Memoji, Screen Time, Shared AR Experiences and more. Download and install. The file is about 1.24GB in size. 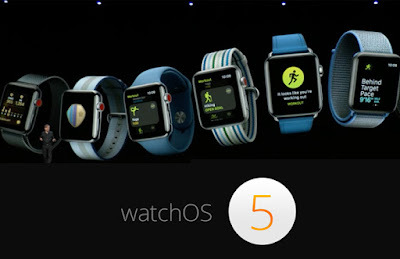 Over and above, Apple also released watchOS 5.0 for Apple Watch users. The watchOS 5 comes with an array of features like Walkie Talkie feature that lets you talk directly to family members using an Apple Watch. You can fire off a voice clip directly to another watch user with a tap of the wrist.